Forgot the keys inside the house? Locked the key in the trunk? Broke the office key? Call us for home, office, and auto lockout service in Aurora. We respond right away and are available to cover such emergency needs 24/7. All pros from our team are fully organized to help quickly. Each one of our vans here at Payless Locksmith Aurora contains the equipment, spares, and tools needed for each service. Not only do we arrive quickly to your location but are totally prepared to do any repair needed to fix the problem. Call us 24/7. When our customers need lockout service in Aurora, Ontario, we rush to help them out 24/7. Anything can go wrong with either the keys or locks. And problems often lead to lockouts. Be it a broken or missing key, a damaged lock, or a problematic transponder key, we handle the issue on the spot. We have equipment to program chip car keys but also high end digital locks. Our vans also contain cutting machines in case we need to urgently replace keys but also all tools needed to open locked doors, extract broken keys, and repair or change locks. So you can trust that when our techs come to help you with lockouts, they will offer the necessary emergency locksmith service. Get in touch with our company 24/7 if you want acar lockout Is there a problem with the transponder key? Did you lock it in the trunk or inside the car? Is the lock damaged and won’t open? Our tech can open the trunk, fix and replace car keys, reprogram transponder keys, and take care of car locks. Call us now if you want house lockout Did you break the key in the lock? Did you leave and forgot the key inside? Is the key turning without unlocking the door? We rush to extract broken keys, replace keys, open the locked home door, and fix the lock. 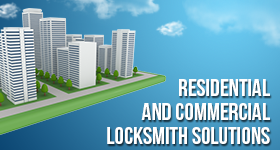 Contact us 24/7 for either home or apartment lockout services. Are you in need of a fast office lockout service? You can still contact our company. Trained and qualified to service all commercial locks and high end security systems, our techs can open the door and repair lock problems. We can also extract and replace broken keys, replace lost office keys, and fix any lock damage. 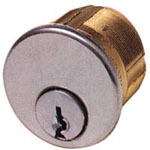 We are the locksmith to trust for any Aurora lockout service. Keep our contact info and call us 24/7.